I like the angle on this one. Nice bright red color also. I really like the way you play with the color on this one. 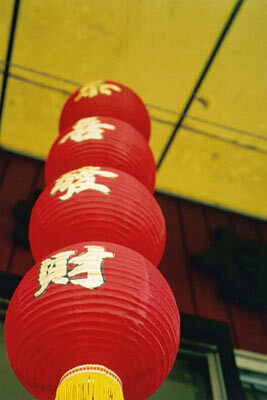 The yellow at the bottom of the lantern and the type leads your eyes then disapears into the background. Great choice!